Camping with a newborn can be a very intimidating experience especially when it is your first. It was so refreshing to be in the great outdoors as new parents with our 4 week old especially since we did a lot of camping pre-baby. It’s nice to know you don’t have to stop what you love and that babies really love the fresh air and being outside. My parents took me camping when I was 6 weeks old and it clearly had an incredible impact on my life. 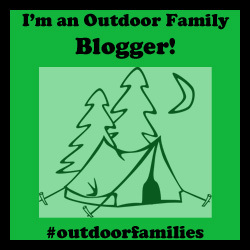 I believe that the outdoors is a natural soother for babies so why not get them out camping as soon as you can!! Update: I now have another baby. We went camping with her and our toddler when she was 3 weeks old. Going camping so early with our first made it alot easier and stress free with our second. *All opinions are 100% my own. This post contains affiliate links in which I receive a small portion of the sales. I remember putting our 4 week old down for a nap in the tent and saying to m husband “Do you think she will be alright?” Really what I was worried about was would she be too cold or too hot… She’s so tiny and is probably lonely without me! For our first camping trip I worried whether she was too cold, if she was too hot. Was she breathing? I just checked her… Better check again. Don’t worry about worrying. This is going to happen but don’t let it stop you from going because the next time you go camping it isno longer new and you will worry less. Now that I have gone through the worry of that first car camping experience I would do it again in a flash and cannot wait til I get to take her again next time. Next time maybe overnight hike? Little newborn babies… When our daughter was born it was 30 degrees plus outside and our apartment was boiling. Getting out was necessary. I remember going to the beach with my husband during the first week of her life and telling him to protect her from the sun. As new parents you tend to worry about the elements. Needless to say when we decided to go camping I had to make sure that the weather would not be a problem. The weekend forecast was sunny, blue sky’s and hovering around 20 degrees Celsius. The coldest it got was about 10 degrees Celsius at night, during the day it hovered around 15-20 degrees Celsius and we knew that it was going to be a sunny weekend. It was nice for us to know that it was not going to get too cold. Choose weather that you feel comfortable camping in. Especially the first night expect not to sleep, or at least not very well. I guess as new parents do you ever really sleep? I remember my husband waking up in the middle of the night at home thinking he had just been holding our daughter. She was still in her bassinet fast asleep and we laughed so hard because of our sleep depravation. Camping adds another element to sleep. You will most likely be checking on your baby multiple times to make sure they are still breathing. We have our 3 person ‘roughing’ it tent and we also have our big ‘glamping’ tent for luxury car camping. When we went we took our big ‘glamping’ tent. At home our little babe slept in a moses/wicker bassinet. Since this was easy to transport we decided to have her sleep in the bassinet in the tent. We put her at the top of our heads but you could also put the bassinet between you and your partner. Another option is using the KidCo P4012 PeaPod Plus Infant Travel Bed, Midnight . If your baby is a little older you could put them beside you in their own sleeping bag or sleep sac. OH baby clothes are so cute and I am definitely a fan of head bands and barrettes. Unfortunately its best to leave these at home and bring the necessities. Someone once told me on a cold day they bundled up their baby on a walk outside. Their baby was screaming and screaming until they got home and realized that their baby was actually too hot. He settled down once the layers were taken off. The key here is not to overdress. We had our little girl in a onesie and a sleeper. She slept inside a fleece sleep sac and then we put on two blankets. She also wore a wool toque which keeps the warmth in and the cool out. It was about 10 degrees at night. Choosing a family friendly campground is important. Number 1 you want a place where there are other families that understand that babies do cry. I have been car camping a lot throughout my life and there are always families in RV’s with toddlers or teenagers which means that they had newborns before. Number 2 you don’t want a party campground where your neighbours are pumping up music til all hours of the night. Pre-baby my husband and I stayed at a surf campground in Ucluelet and our neighbours were pumping techno till 12 am. Not exactly baby friendly. Also going camping with friends is really fun as well. We went camping with our awesome outdoorsy friends that have a 3 year old and a baby boy that was born 3 days before our daughter. It was so nice to go with another family and to have that support. When the two babies got a little fussy the husbands would take them walking and the girls got to chat by the fire. When dinner needed to be made the boys made the dinner and chatted while the girls breastfed the babies near the fire. We chose somewhere close to home. We are lucky that we live in Vancouver and this location provides fantastic camping very close. We chose Alice Lake campground primarily because our friends invited us to go with them and it was only about a 45 minute drive away. It is a very family friendly campground with tons of amenities and a lake nearby. It is also right near Squamish which is a town with hotels and lots of amenities if camping did not work out. Pack what is necessary and make sure you have extra clothing in case there is a blow out. Make the clothes easy and unless your doing something fancy be practical. For one – two days of camping I would bring 3 sleepers and 3 onesies. After that for every extra day I would add one of each up to 1 week. Keep the clothing nice and simple because you are camping. I would add a toque, sweater and pants unless I have a warm full body suit to use as well. A baby carrier is really nice to have along. See the sleeping section for ideas of what the baby should wear at night if it gets chillier. But remember that a general rule of thumb is that your baby should have one extra layer than you have on. Consider using the Woolino 4 Season Basic Merino Wool Baby Sleeping Bag, 0-6 Months, Butterfly at night. Wool is meant to keep you warm when its cold outside and cool you off when its hot. Our first camping trip was also when we learnt that you don’t have to change your baby in the night unless they really need it. This was, at least for us, excellent knowledge we got from the friends we went camping with. It also prevented us from having to unbundle our lil babe in the nighttime chill just to change her lil booty. Bring 10 diapers a day and then add a few just in case and a changing mat. Bring a garbage bag for dirty clothes in case of a blow out. We used to go camping a lot before our daughter was born. We went car camping, back country camping, canoe camping, surf camping etc. We even went and canoed to an island and camped just one week before she was born. I was more like a beached whale at that point and pretty sure I just slept the whole time but the fresh air was amazing. That means that before our daughter was born we had talked about how important camping was to us and how we felt introducing a young baby to the outdoors was very important for their overall health as well. Now we just needed to make sure that we were prepared. When we used to go camping we had all of our car camping gear easily accessible in a bin so we could go on a whim. Whatever could not fit into the bin we had in a specific spot in our house so that it was easy to grab. That meant that when our friends asked us if we wanted to go camping that night with our 4 week old we were able to say yes. All we had to pack was our overnight clothes and our babies stuff. If you don’t have it already prepared you will be less motivated and less likely to go. a close friend is camping as I type, with her 5 kids, the youngest being only weeks old. Looking forward to hearing how it all worked out! That is so exciting! I hope they had lots of fun! My husband and I both love ta be outdoors every chance we get! We both love ta go camping, fishing, swimming, hiking, horse back riding, bike riding and even canoeing any chance we get! We especially love ta go camping and fishing! We’ve been together for 3 years and 5 months, and have been married since November 2017 . We are expecting our first child a little boy, I am currently 8 months and 34 weeks along, and our beautiful little bundle of joy is due May on 17th! Anyway this summer we are going camping with my parents and some very close family friends and will be taking our son along with! Your article is very inspirational and helpful and I just wanted ta say thank You for sharing it, and that my husband and I can’t wait ta use the tips you’ve givin us in the article!!!! Congratulations! Have alot of fun camping with your little babe. Thanks for sharing and commenting! It means alot! Thank you for this post! My husband and I are having a baby August 21st and planning a camping trip for labour day weekend. What month were you guys camping? Also what did you have on your baby at the beach? When we camped with out first she was 6 weeks old so it would have been around labour day weekend! With a newborn on the beach it depends. If it is hot out I would have them in a diaper and then swaddled or held in a blanket (if you can make it a U/V protected blanket). I would try to sit in the shade with the baby as much as possible. If you want to be in the sun try to bring either a baby U/V Tent or a U/V family beach tent to create shade and cover the babe from any windy sand depending on the weather. You can also bring the car seat or carry a stroller to where you are sitting to have the baby sleep in there while you are on the beach. Just do not cover with a thick blanket as that will make them too hot. I would either have an umbrella over them of put them in the U/V tent. The biggest thing is to keep them out of the sun with their newborn skin!